A quick recommendation/preview here from me. OSR Map maker supremo and all round nice guy Glynn Seal of Monkey Blood Design is Kickstarting his Midderlands Book. This is a setting/creature book with a short adventure, which comes bundled with a gorgeous large map of the setting. The Midderlands is a fictional medieval fantasy version of the lands around were Glynn lives in English Midlands region. Here’s the preview vid in all its green glory. 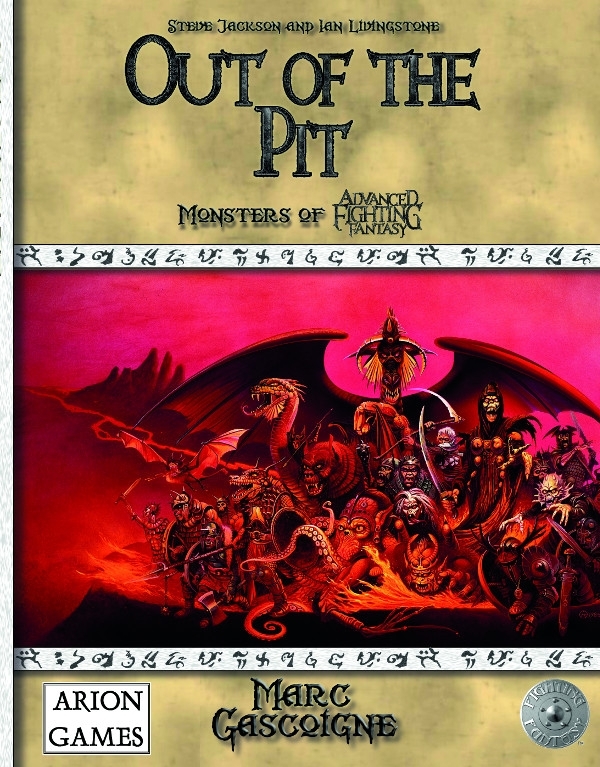 This book is going to be a 300+ hardcover, comparable in content and form to such OSR classics like Lamentations of the Flame Princess’s Carcosa and Red and Pleasant Land. But that a lazy comparison once you start delving into the content itself. And what content it is. First, of its all clearly and logically presented, despite the spiky green theme that runs through the book. It would have been very tempting to present this as a ‘messy’ thing, especially with the huge dollops of Monty Python/Black Adder (tending towards the black humour of the later) that pepper the text. No Glynn has resisted that urge and has kept everything tidy and neat. It’s both highly enjoyable read, from what little I’ve have had the pleasure to read of the ‘nearly done’ draft he was so kind to provide me with for this preview. It’s also, and this matters at my gaming/scenario creation table, an easy to use reference book. I’ll refer you to the Kickstart itself for a breakdown of the book itself. Since Glynn does a much better job than I could myself (with full page spreads), but my highlights from my skim so far are the numerous race as character classes, that cover the various species of goblins and other slimy/spiky things covered in the creatures chapter. I can easily see myself running a short campaign or convention game based upon an adventuring group of these monsters. As a Kickstarter project, I can firmly recommend this. It’s logically consistent, the price is right for what you are getting, and the stretch goals are focused on the book itself rather than endless additional supplements, which delay delivery. This book is ready to go, and the funds go straight funding production of a print run. Among the guests are old school heroes Ian Livingstone & Steve Jackson of Fighting Fantasy/early Games Workshop fame and Joe Dever author/creator of Lone Wolf. The Design Mechanism continues to surge ahead on the Mythras release front. First off is the return of Mythic Rome by Pete Nash, originally released as an BRP version which won a Silver Ennies, in a time when the Ennies were dominated by D&D product, updated for Mythras with brand new art as a lovely hardback. It covers Rome from its foundation to the end of the Republic. 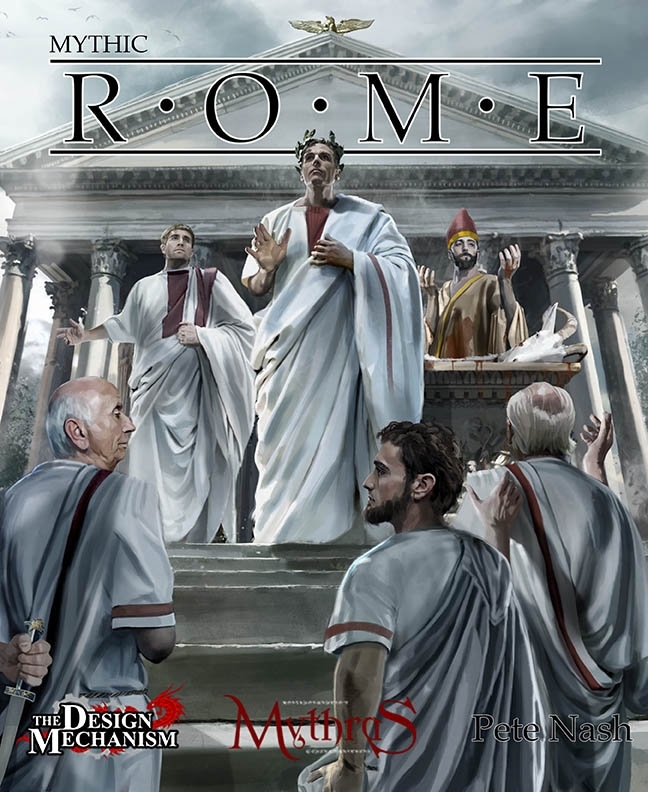 If you want to run games inspired by Steven Saylor’s Sub Rosa series or HBO Rome this is the book to get. And because Pete and Loz love you and want you to try out Mythras for the next couple of months they are going to putting out standalone adventures compatible with both Mythras and the free Mythras Imperative. 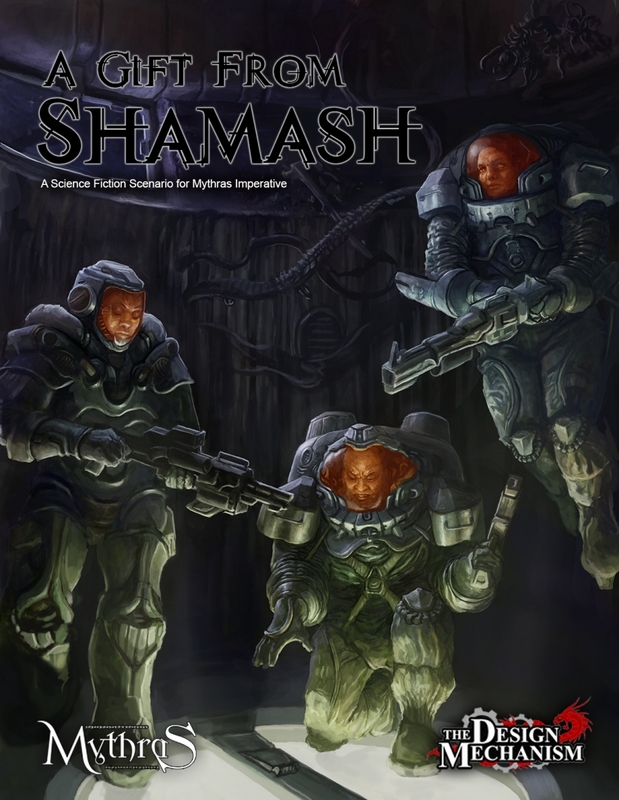 The first one is a Sci-Fi (they’ve already taken Mythras in that direction with their Luther Arkwright book and check out M-Space by Frostbyte Books) called A Gift From Shamash ( in pdf via drivethrurpg.com and in print from Lulu ). Grogmeet happened in my home city of Manchester….and I completely missed it. My excuse being a I was already signed heavy weekend of family fun, but hoping that this becomes a regular thing 🙂 Here’s a quick highlights movie they made. 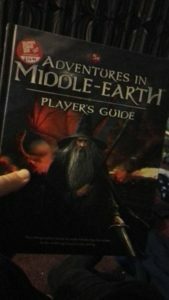 Finally not strictly OSR (because its for 5Th Ed) but Cubicle 7’s Adventures in Middle Earth hit the shops this week, and I bagsied a copy. I must confess I usually by C7’s Tolkien stuff for the gorgeous art, and this book keeps up that tradition using the same smooth colourful layout with lashings of fantastic colour illustrations, but from a quick skim its a seamless version of 5ed blended with Tolkien flavour and the unique rules that made the One Ring so special ported over. Looking forward to picking up the companion Loremaster’s Guide when it comes out. This one has a special place in many UK Grognards heart’s because Tolkien was very much part of growing up in the UK, for example many people read the Hobbit and Lord of the Rings as part of their English education at school, and even though there wasn’t an official D&D adaptation many people played the game with a strong Tolkien flavour. So 30 years on its very heartwarming to finally see an licensed adaptation for D&D and see it get so right. 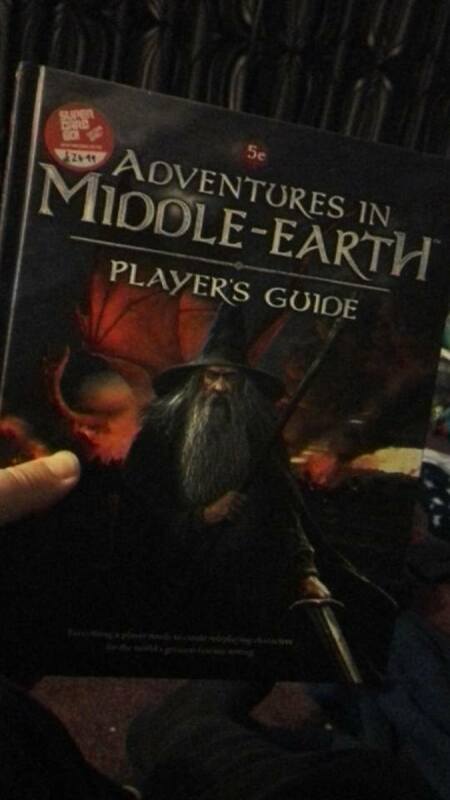 Adventures in Middle Earth by Cubicle 7, I has it my precious!!!! What D101 is up to? 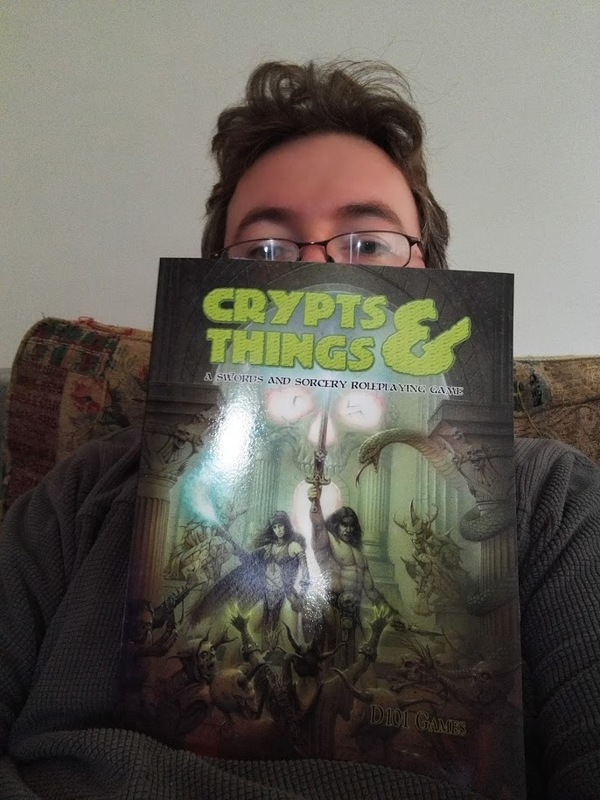 I’m currently busy getting the adventures for the Crypts and Things Kickstarter together. 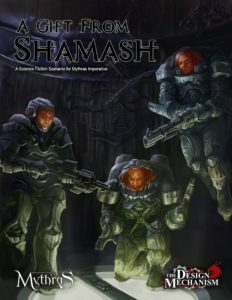 Tombs of the Necromancer is getting some clean up work done, some extra bits by author Paul Mitchener, and Life and Death Zarth Edition is getting new art and layout. Its neck and neck which one will get released first. Blood of the Dragon/The Dark Path (new) and Fort Boneguard (new) are all getting put together along with a new scenario, The Lost City of the God Emperor, into one book called Under Dark Spires. Tournaments of Madness and Death is quietly trundling along. 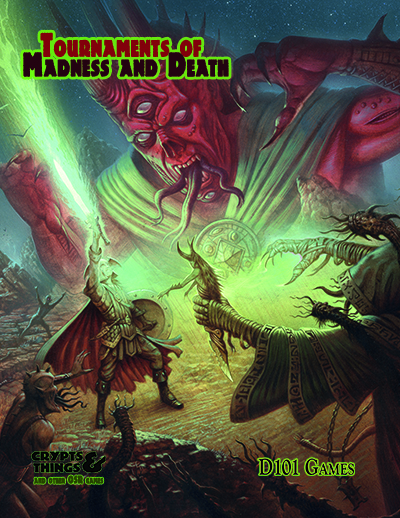 Oh and to keep us going until the adventures land I’m putting a C&T fanzine together called “From the Shroud”, a little A5 affair that currently has a couple of articles by me and a small introductory scenario called “The Secret of Skull Hill”, that I’m hoping will be on sale at Dragonmeet. If you are interested in contributing get in touch via newt@d101games.com. The deadline for submissions is tight however, this coming Sunday 20th November. I’m also starting the playtest of Beyond Dread Portals (the new name of Paul Mitchener’s Empire of Ys ) this week, which will run into early next year with an aim of getting out in the first half of next year. Remember my reporting on this UK OSR Update is only as good as my attention span on G+, so if I’ve missed anything just point it out in the comments below. I must admit I’m late to the party, but UK Fanzine Publisher Daniel Sell and his little crew of merry miscreants are diversifying into the Adventures market. So they need money, so behold a Kickstarter has arrived! Its already funded, with the money going towards upping the production values. Its also a chance to pick up reprints of all the Undercroft Fanzines + Something Stinks in Stilton, which is one that I’ve seized! 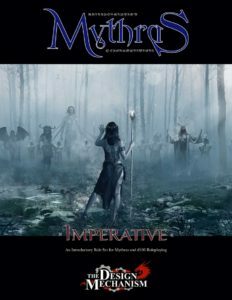 Mythras is out! pdf now print soon. The rebranded and relayed out game formally known as RuneQuest 6. Now with added combat cards for tracking special combat manevuers. 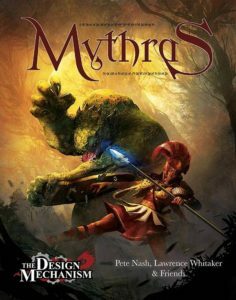 Mythras on the Design Mechanism’s website. Beyond Dread Portals, Paul Mitchener’s love letter to AD&D 2ed and Planescape has reached 1st draft. If you fancy playtesting it or peer reviewing, email me at newt@d101games.com. 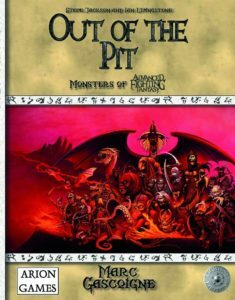 Out of the Pit the seminal Advanced Fighting Fantasy creature book now available as a pdf via DrivethruRpg.com. The rather sparse description on the product page doesn’t do the book justice. It was originally published in the 1980s during the Fighting Fantasy boom and contains over 250 monsters from the classic FF books. 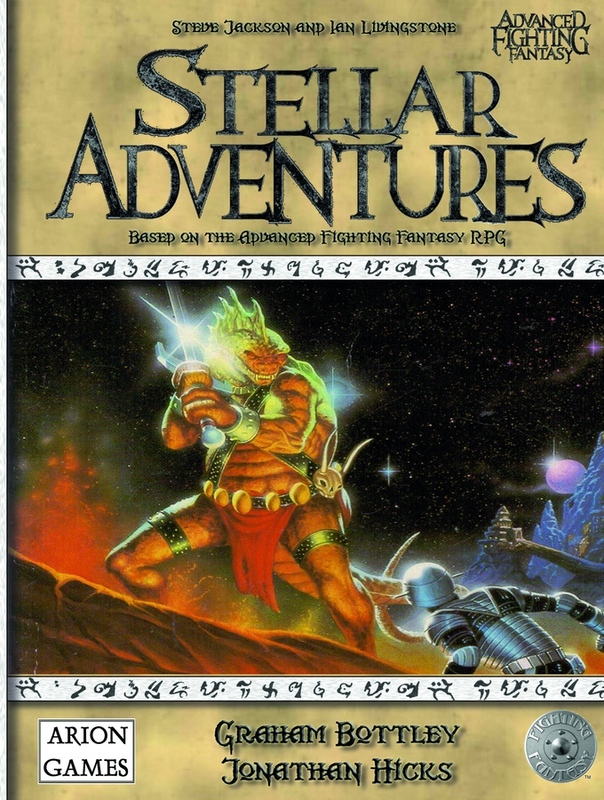 Stellar Adventures, the Sci-Fi Advanced Fighting Fantasy variant by Arion Games has now funded, with 8 days to go at time of writing. 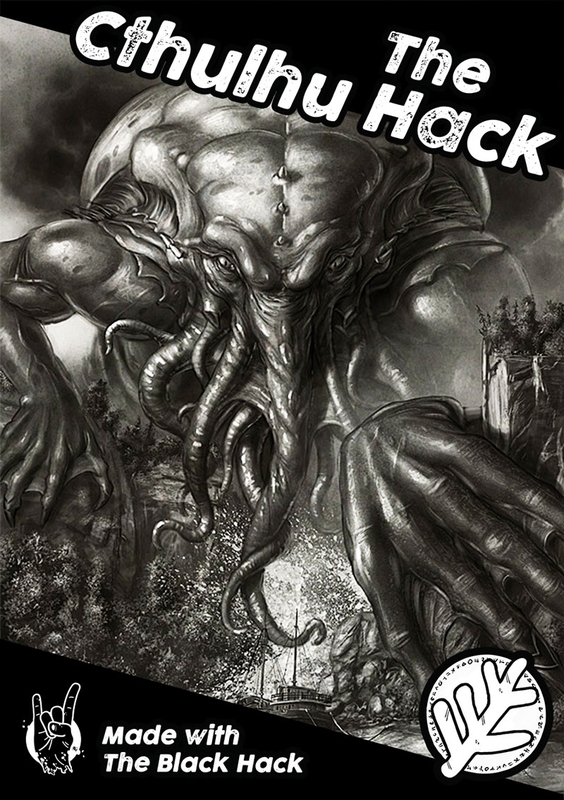 The Hex Hack by Dog Eared Games is available for use with the Black Hack and other OSR games. Also they’ve added a supplement for their Jack Hack Black Hack supplement ( keeping up with me at the back there? ) called The Penny Black which adds in elements from a certain dreadful TV show. 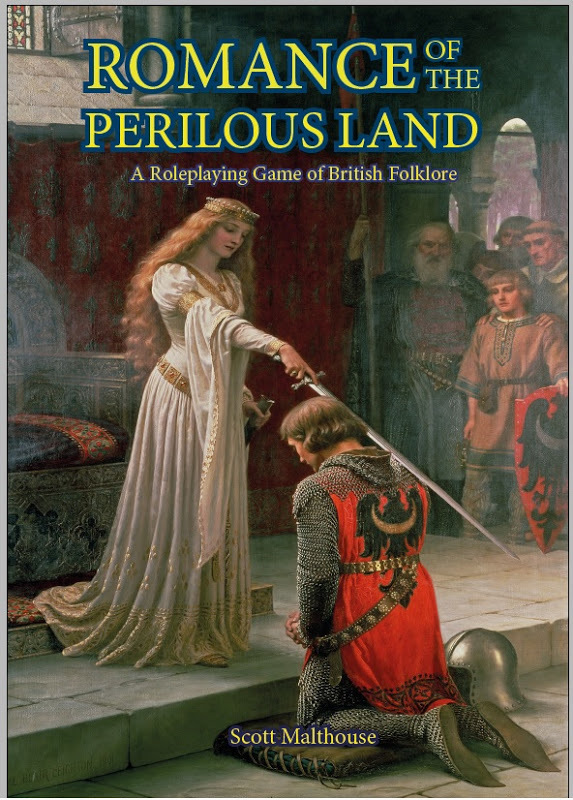 Well I go away on a family holiday, followed by UK Games Expo and all sorts of nonsense gets released or pops up on G+ in the UK OSR scene. So here’s a quick catch up of recent stuff I’m aware of. If I’ve missed anything mention it in the comments below and I’ll stick it in my next update. At UK Games Expo my mate Paul Baldowski (Just Crunch Games) was peddling printed and boxset copies of his The Cthulhu Hack which is still going strong and has spawned a supplement From Unformed Realms. Based off the Black Hack this standalone game takes the same stripped down OSR/D20 approach as the Black Hack itself but adds quick rules based for Investigation. 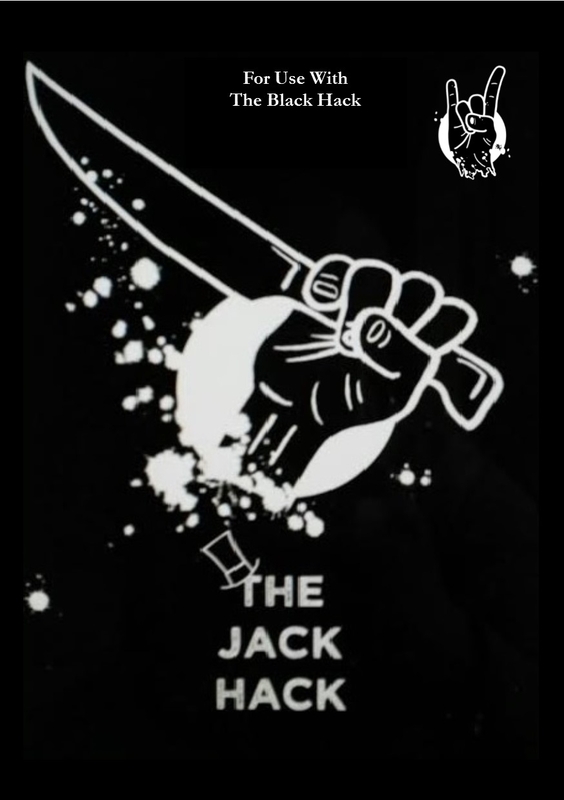 Also John Davis has released The Jack Hack which brings alternate rules, encounter tables and five new classes for the Black Hack so you can play adventures in the grim and gritty Victorian London at the time of Jack the Ripper. Also the Advanced Fighting Fantasy and the Advanced Fighting Fantasy Companion are now available as pdf from Drivethrurpg.com. Romance of the Perilous Land by Scott Malthouse is a game based on British Folklore in-development and play-testing. From a comment made by Scott on G+ its a “it’s OGL, inspired by Swords & Wizardry, Black Hack, T&T, and 5e. But also its own system “. Here’s the current cover. This is one I’m following with great interest. England Upturn’d by UK Author Barry Blatt has been released by Lamentations of the Flame Princess. Set in the English Civil War in the Lincolnshire fens, its a fantastic adventure blending the weird history of the time and Barry’s psychedelic sensibilities into one awesome package. I picked a copy up at UK Games Expo and I can’t recommend this one highly enough. 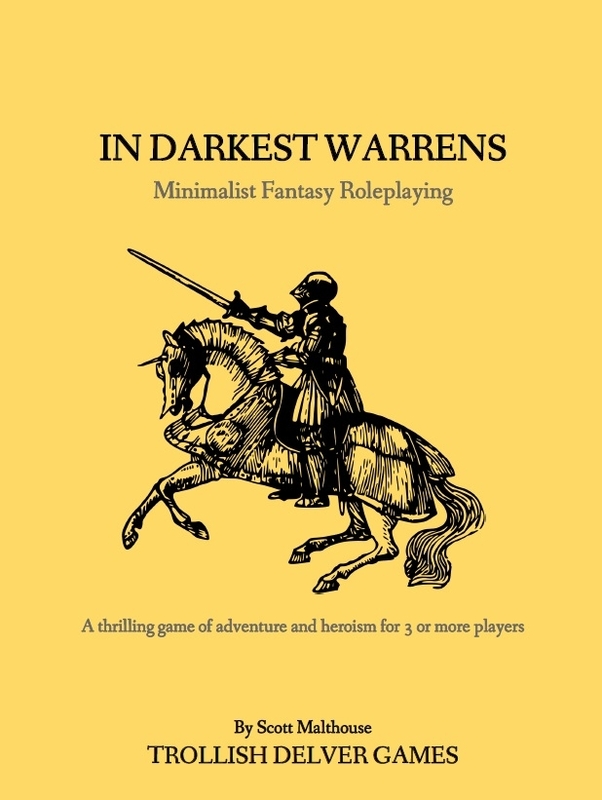 Ian Sturlock Interview Over at UK Roleplayers Ian Sturlock, who runs Serpent King Games and is custodian of the Dragon Warriors RPG is being being Interviewed. Mythras Imperative. This is UK Exiles Lawrence Whitaker & Pete Nash’s 32 page free taster of their rebranded RQ6 system. They may have lost the name, but damn this feels like RQ of old, since some of the complexity of the full system has been lost in this cut down system. The only downside is there’s no magic system, but seeing as they want this to be a base for third party publishers to use to base products off they’ve chucked in rules for firearms. Anyway that aside, check it out its free! It seems like everyone is hacking these days and Simon Washbourne has just released his OSR version of Barbarians of Lemuria, the BOL Hack. A stripped down version of Barbarians of Lemuria with all the fluff removed and just a simple OD&D inspired ruleset left behind. Work continues on Crypts and Things and were on for a July release of the pdf to backers, and opening of pre-orders then if you missed the kickstarter. The latest Kickstarter update has news of this and preview page layouts. A quick round-up of some of the things that have caught my eye recently going on in the UK OSR. Apologies in advance if I’ve missed stuff off , point it out in the comments below and I’ll give it a shout out later. I went to 7 Hills Gaming convention in Sheffield last weekend. Failed to run any OpenQuest (boo hiss!) but ran my tribute to the Fighting Fantasy books of my youth The Sorcerer Under the Mountain, using the recently released Black Hack.At some point I’ll write this adventure up and get it on the release schedule. I also got to play Village of Homlett using 13th Age. Read my review of the con. New mini-supplement for OpenQuest, The Clockwork Palace by Paul Mitchener, was released. OpenQuest Basics is now available with full colour art. If you have the previous art free B&W edition please redownload it. Since it was paid for by the OpenQuest 2 crowdfunding campaign (many moons ago now in 2012) its available for free. I’m working on getting it available in print (mainly so I can sell it at cons and through the soon to be unravelled D101 Webstore). 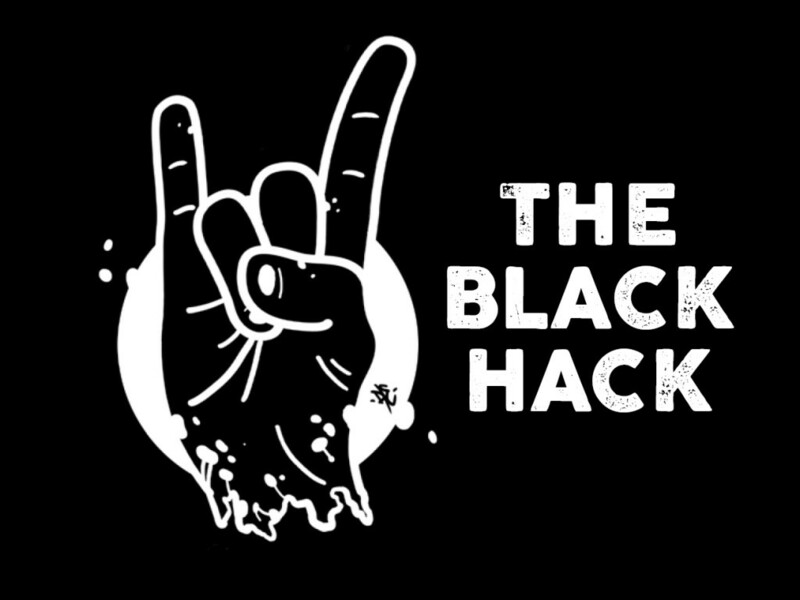 The Black Hack, a lovely little 20 page OSR rule set optimised for quick convention and online play has been released. I’ve run it a couple of times now, at home and at 7 Hills and it works a treat. Kristen Richards (Age of Shadows) is back with the second issue of his ‘Neath the Shadow Zine for Age of Shadows but usable for OpenQuest. Jonny Gray whose done some work for me in the past, and in the future when I get Chronicles of Erun out, has a new Patreon campaign to produce art for RPGs. Not only is he a wildly enusatic member of UK OSR Google Hangouts, his work tends to be on the grim and gritty side of things which a perfect fit for UK OSR Grimdark. Go check it out.